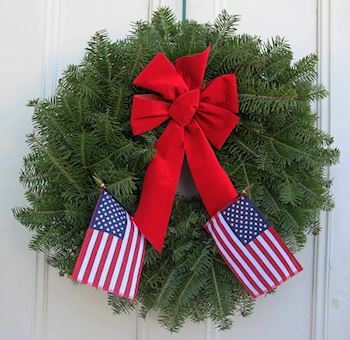 Welcome to the Chesapeake Parrot Head Club (MD0060)'s Wreaths Across America Page. 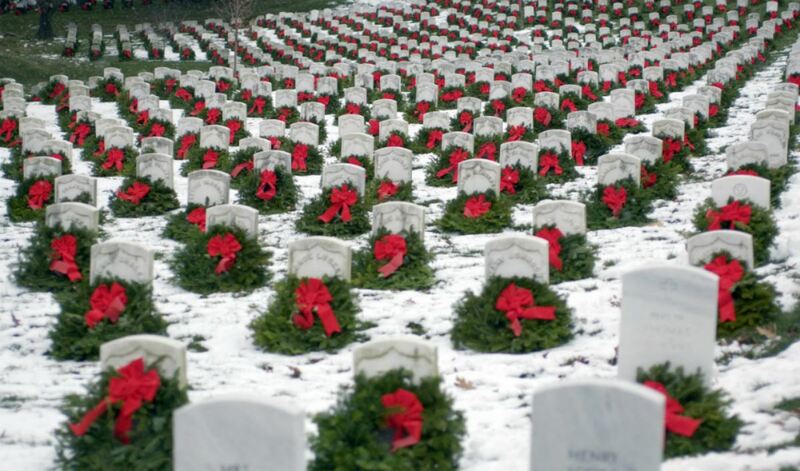 On Saturday, December 14, 2019 at 12:00 PM, Chesapeake Parrot Head Club (MD0060) will be helping Crownsville Veterans' Cemetery to Remember and Honor our veterans by laying Remembrance wreaths on the graves of our country's fallen heroes. 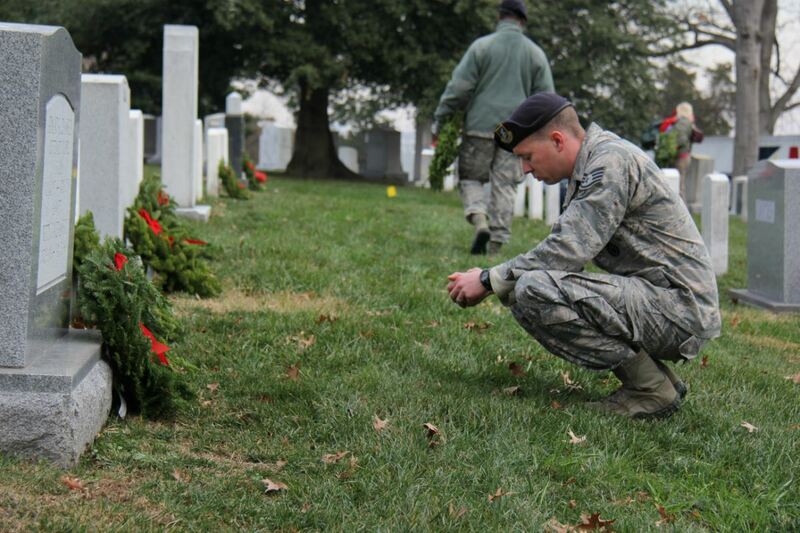 Thank you so much for supporting the Chesapeake Parrot Head Club (MD0060) and Wreaths Across America! Location Coordinator: Jill H.,Scott H.,Susan M.
Navigation systems do an adequate job finding the cemetery. When you arrive, please follow the people and signs to the site of the ceremony itself. Parking is EXTREMELY difficult. Have your group bring 1 vehicle instead of 2 or three. Plan on heavy traffic. Parking is EXTREMELY difficult. We had 4000 volunteers last year and we have 800 parking spots. We do have handicapped parking, but it is still a walk to the ceremony location. PLEASE CARPOOL. Full vehicles will decrease the traffic congestion. Crownsville Veterans Cemetery is on a 2 lane country road with VERY limited parking. We do have access to the ball field across the street for parking, but parking there is not abundant either. The cemetery will be used to park our older visitors. Younger legs should park across the street. Please find the largest mini-van and fill it. ***Bring one vehicle for your group and not 2 or three. *** We do have county police on site as well as at the stoplight at Sunrise Beach Rd. to help with pedestrian safety and traffic control. Last year traffic backed up to 97. Plan accordingly. 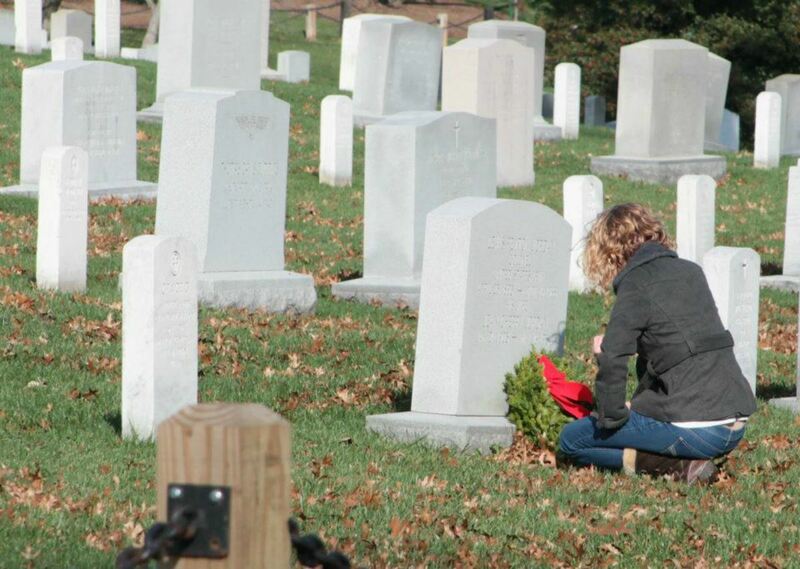 We are happy that you are willing to help with our Wreath Across America ceremony at Crownsville Veterans' Cemetery . Please do not forget to register to volunteer! That way you will get all updates about the cemetery itself. We have done an amazing job raising awareness for this date. 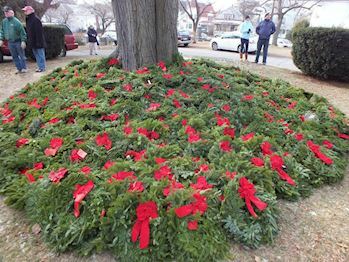 We have more wreaths sponsored than ANY other cemetery in the state of Maryland. Considering how many others we have within a 45 mile radius, it is even more phenomenal. We will be able to place over 13,000 wreaths. Last year we had approximately 3000-4000 people come out to place 11,000 wreaths. Many could not make it to the cemetery. It will be LIVE STREAMED if circumstances keep you from attending. I will (try) to put it on YouTube after the fact. To alleviate SOME of the traffic, we have chosen to allow (IF YOU WANT) Grave Specific wreaths to be laid from 8-10 am. I understand that families may want to spend quiet time with their loved ones, instead of waiting around in the cold. 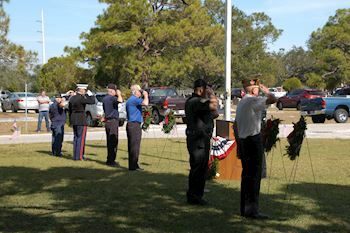 We will have the wreaths laid out with your loved ones names on a piece of paper at the center of the cemetery. You may also choose to attend the ceremony and then lay the Grave Specific Wreath after the ceremony with the rest of the volunteers. A reminder that the ground can have low spots. Be careful and do not run. Also, walk between the graves or at the top of the headstone and not over them. Do not stand on them. The ceremony will start promptly at 12:00. It will be on the grassy area in the middle of the cemetery between sections 2,3,4 and 5. It should last approximately 40 minutes. As you are waiting, please talk to any veterans around you. Ask them their story if they wish to share. 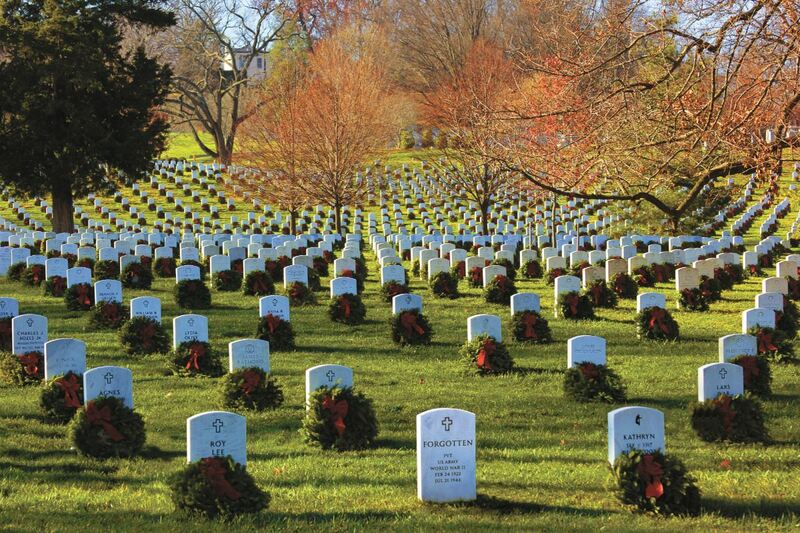 This is a great opportunity for the teach portion of the Wreaths Across America mission. Wreath laying follows the ceremony. Do not lay a wreath on any grave that is flagged with an orange marker flag. These are graves that have had a grave specific wreath sponsored. Please give their family and friends the opportunity to lay their wreath. Boxes of wreaths will be placed around the cemetery. Please do not open them until after the ceremony. At that time, please take 1 wreath. You may take the tag off of the back of the wreath as a keepsake of the day. Straighten the bow. 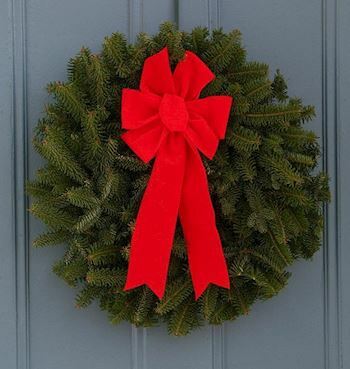 We only have wreaths to cover 69% of the cemetery. Do not fill in the sections. Place a wreath on every other grave at the base of the headstone with the bow at the top. Please say their name as you are placing the wreath. It is said that we die twice. Once when our heart stops beating and again, when our names are said for the last time. Thank them for their service. If you feel comfortable, give them a salute before moving on. Acknowledge any graves that will not have a wreath. After everyone has placed 1 wreath, you may go back and place another. Break down empty boxes and place them at the curb in a pile. If weather is calling for ice or snow, we will make the call the morning of the ceremony. We thank you for making this event a huge success. For allowing us to Remember, Honor and Teach. We thank you for reading this post. We thank you for your patience on ceremony day. We are all volunteers and trying our hardest to make everything go smoothly. The focus of the day is our veterans.